系列名：What Is the Story Of? Your favorite characters are now part of the Who HQ library! Nothing mysterious about it! Learn all about how Scooby and his friends took over Saturday mornings--and then the world--in this debut title in the What Is the Story Of? series. Most kids are familiar with the always-hungry, scaredy-cat Great Dane called Scooby-Doo and his true-blue friends of Mystery Inc. But how did Scooby and the gang make it onto the silver screen? 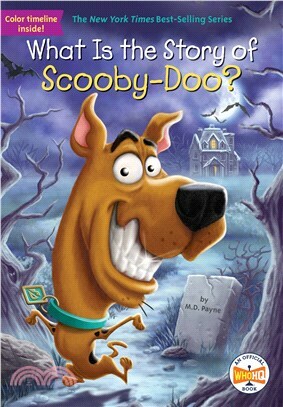 Author M. D. Payne lays out the whole groovy tale in this book that's sure to have readers shouting, "Zoinks!" M. D. Payne is the author of the middle-grade series Monster Juice. He lives in New York City.